Are you a first-time homebuyer? Then you may be wondering if you should buy a less expensive starter home now or wait until you have more money saved to buy a “forever” home later. While there is no one-size-fits-all answer, there are some things you should consider. Ask yourself these questions to help determine whether or not a starter home is right for you. 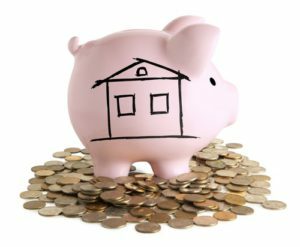 Do you have money saved for a down payment? How is your credit score? If you don’t have much money saved, and your credit score could use some improvement, it might be best to wait. While you may still qualify for a mortgage, you probably will not get a favorable interest rate, which will drive up your monthly payments. You also need to take into consideration how much extra money you will have available for repairs and maintenance. If you’re not sure, try plugging your numbers into an online calculator to see what you can afford. The bottom line is, don’t financially commit yourself if you can’t reasonably afford it. Another question to consider is how long you think you may stay in your starter home. If you move regularly for work, buying a starter home may not be worth it. However, if you plan to stay in that area for several years, a starter home could be a good choice. Also consider that life can change pretty quickly. Though you may only need one or two bedrooms now that could change if you get married or start a family. If you think you may only stay in your starter home a short time, it might be best to wait. There are added costs for moving, as well as fees for selling. If you’re only in the home for a year or two, there may be no financial benefits. Will you be OK living in a more affordable area for at least a few years? Or do you want to wait until you can get a home in a neighborhood where you really want to live? If you know that you’ll eventually want to relocate to a more desirable area, then settling for a starter home in a less desirable location may not be for you. If you think that a starter home will work for you, you should also consider how you will unload it once the time comes. Will you rent the home out to cover your new mortgage payments? How will you handle becoming a landlord? Conversely, if you think you will sell, is the home in a good area? What is the resale value? How strong is the housing market now? If the market takes a downturn, will you be able to sell your home in the future? Since a starter home is more of a short-term investment, be sure to give some thought about what you’ll do when you’re ready to move on.